As someone who didn’t eat much fish growing up, I have to say I find it strange and wonderful that my kids all love fish. They actually adore all types of seafood! They’ll eat fish, and shrimp, and crab, and squid – even octopus! 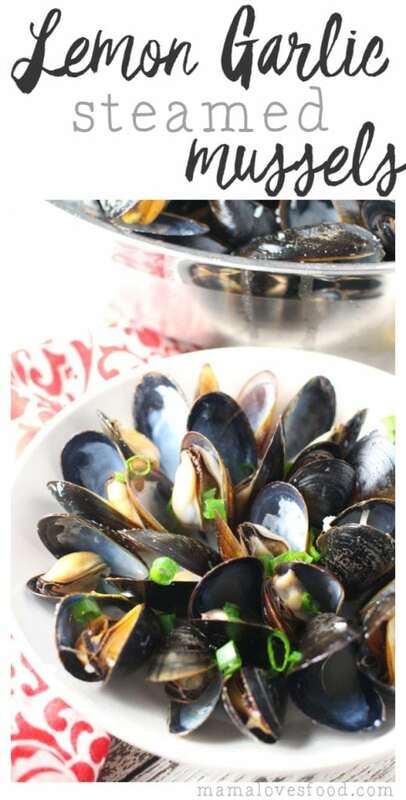 Having discovered my own deep and abiding love for fish in recent years (although, I’ve always been a fan of shellfish), we try to make it a regular at the dinner table. 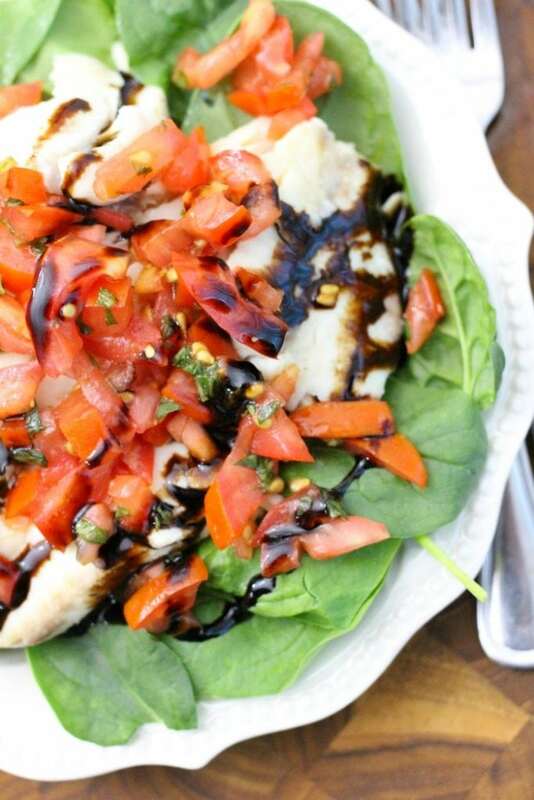 This preparation of Roasted Tilapia with Bruschetta Topping is currently my very favorite way to eat fish. 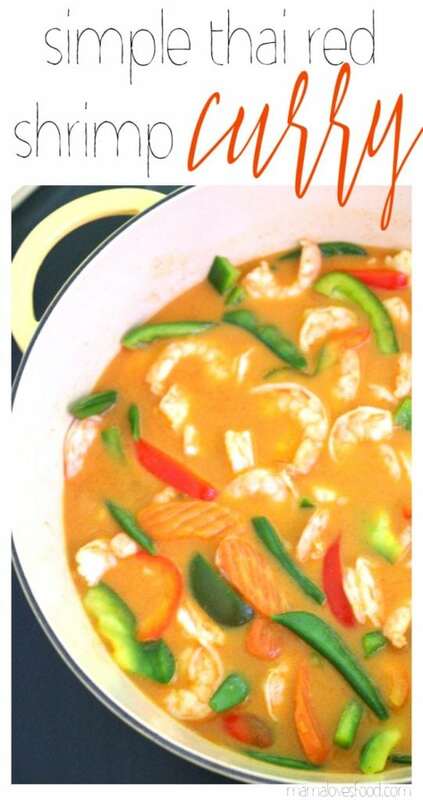 You can actually prepare this with any mild white fish (or hey, maybe even some not so mild ones), and it just sings. 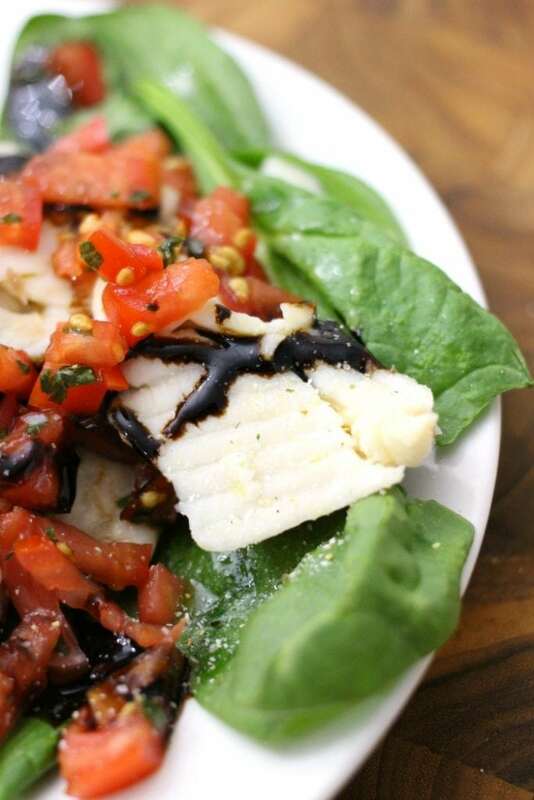 All those light and bright flavors come together for a meal that is equal parts indulgent and guilt free. A little bit of butter and some seasoned salt goes a long way. 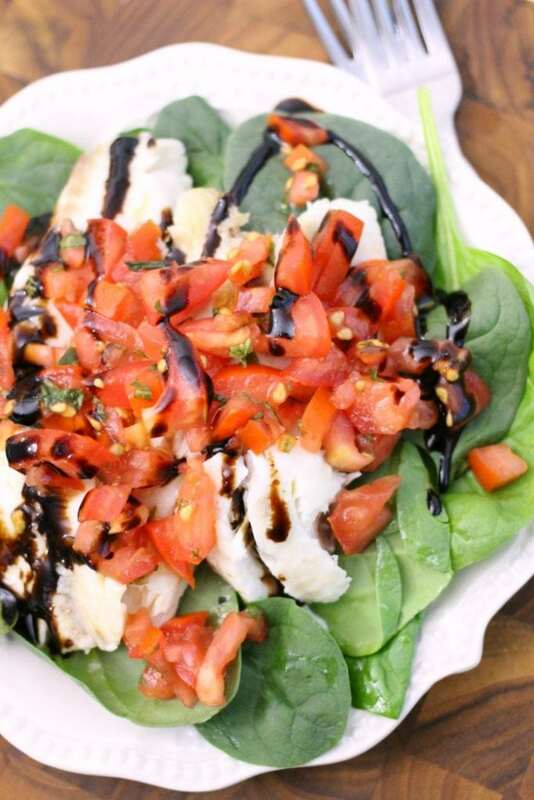 Throw it in the oven for just a few minutes and you have a gorgeous light and flaky piece of fish that goes beautifully with fresh cut tomatoes, basil, and balsamic vinegar. 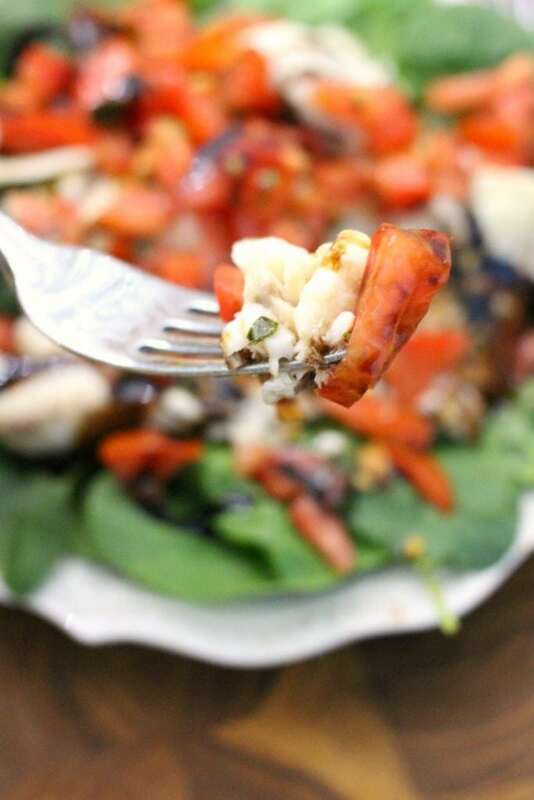 I like to serve mine over a bed of baby spinach leaves, but you could do rice, pasta, or even toss it all in a tortilla for an Italian inspired fish taco! It’s hard to go wrong when you’re working with great ingredients. 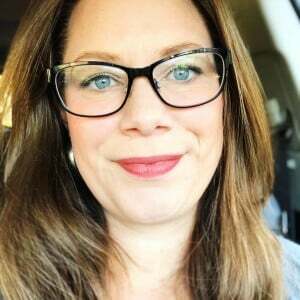 Here’s some great news! Seafood Nutrition Partnership is sponsoring a recipe sweepstakes that wants participants to take the Healthy Heart Pledge! The Healthy Heart Pledge is a promise to yourself and your family to eat at least two servings of seafood each week while supplementing your diet with omega-3s, as recommended by the USDA HHS Dietary Guidelines for Americans. Making this change to your diet can improve your overall health and may reduce your risk of heart disease. 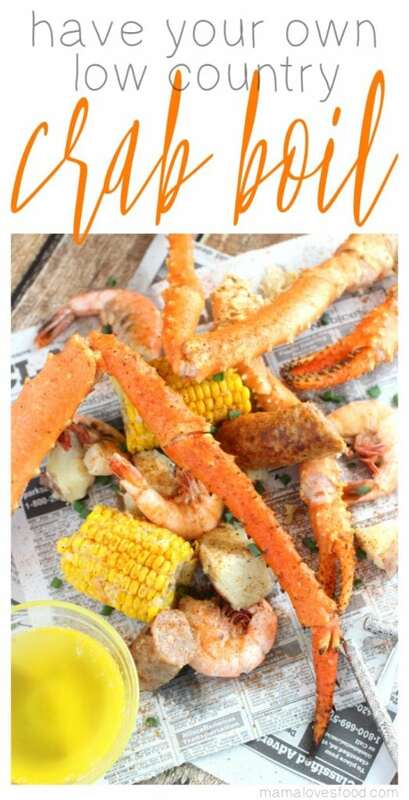 Did you know that eating seafood twice a week can reduce your risk of dying from heart disease and eating seafood two to three times per week reduces the risk of death from any health-related cause! This is a sponsored post written by me on behalf of Seafood Nutrition Partnership for IZEA. All opinions are 100% mine. 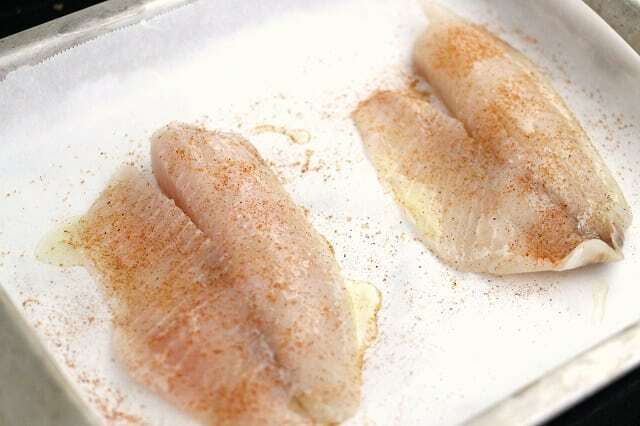 Place the tilapia filets on a parchment lined baking sheet and drizzle with olive oil, then dust with seasoned salt. Bake at 375 degrees for 15 - 20 minutes, until cooked through and flaky when pierced with a fork. 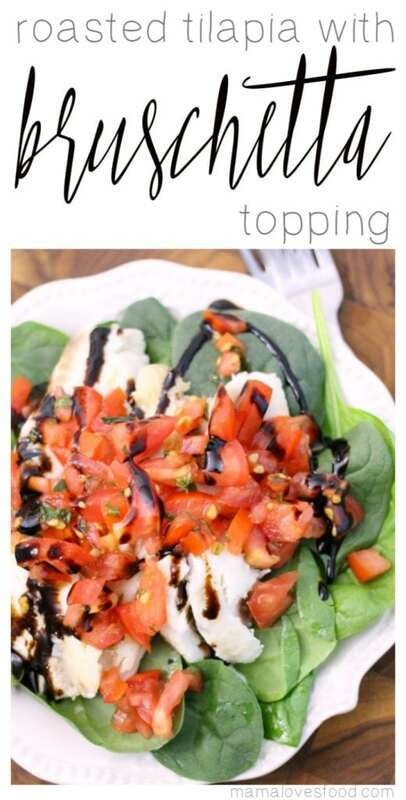 Layer ingredients as follows: spinach (optional), tilapia, pico de gallo (lots!). 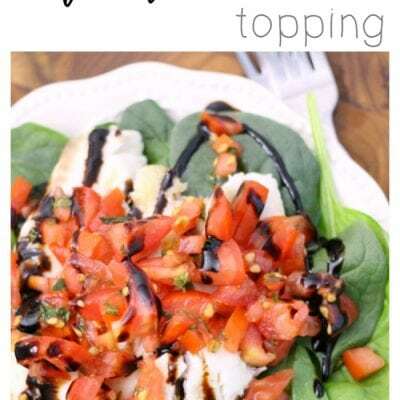 Drizzle generously with balsamic glaze. 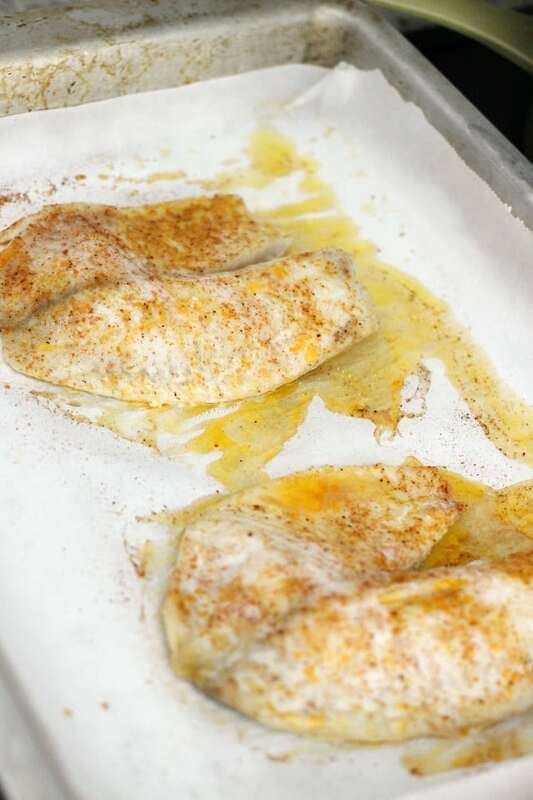 Place the tilapia filets on a parchment lined baking sheet and drizzle with olive oil, then dust with seasoned salt. Bake at 375 degrees for 15 – 20 minutes, until cooked through and flaky when pierced with a fork. The only problem with Tilapia is that it is a bottom feeder, i.e. they eat the poop of other fish. A good white fish would do in exchange. Otherwise a yummy recipe. while not the healthiest nutrition profile when compared to all fish available, tilapia does not "eat poop" – they are plant eaters and will only eat feces when they are starved and being farmed in unsanitary conditions. as with all your food, please purchase from safe and reliable sources. This looks great! I have lots of organic tomatoes from my plants on the deck, and am always looking for something new to do with them.